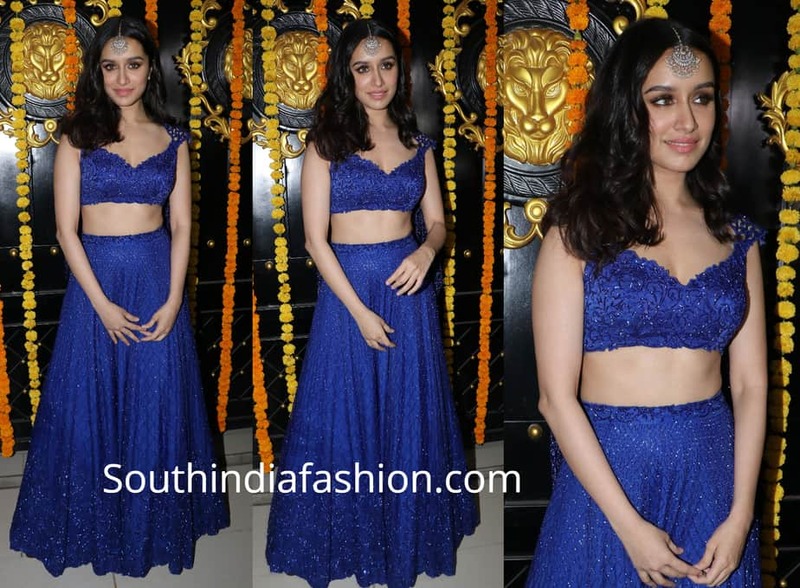 Shraddha Kapoor made an appearance at Ekta Kapoor’s Diwali bash wearing a royal blue embellished long skirt paired with matching crop top by Koecsh. She kept the rest of her look simple with a maang tikka from Vanraj Zaveri, minimal makeup and soft curls! Style Your Ethnic Juttis In These Fun & Fabulous Ways!